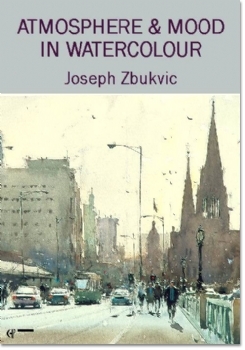 This is an excellent film in which not only is it fascinating and instructive to watch Joseph Zbukvic at work, equally there is much that encourages us to question and in consequence hopefully improve our own approach to watercolour painting. For Joseph, one of the most important aims in painting is to capture a sense of place, and this is a quality that should be conveyed in a personal way, he believes, without being over-anxious about depicting exactly what is there. He reminds us that, as artists, we are "telling a story, not picture-taking". We can use a camera to take pictures! 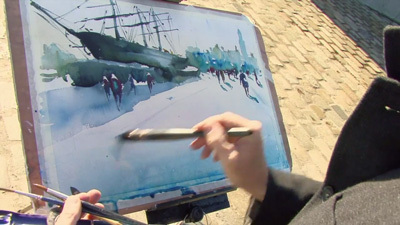 "The greatest enemy of watercolour is deadness - dull, flat colour," Joseph explains. 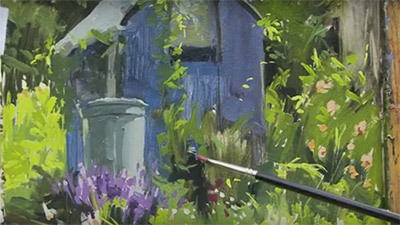 The best way to avoid this, he says, is to give due consideration to the consistency of the paint and the timing: when to tackle a certain area or effect, and which type of brush strokes to use. 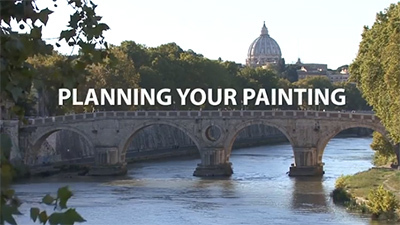 He demonstrates these points perfectly in the four different subjects that he chooses to paint, selecting locations in Melbourne, where he lives, and in Venice. 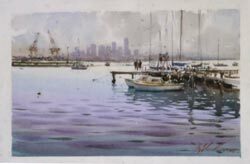 Obviously relishing the challenge of busy, complex subjects, he paints a view across the marina at Williamstown, one of the main streets in Melbourne, the fish market in Venice, and a Venetian canal scene. "Tone is definitely your number one weapon," he advises. And this is how he begins, by thinking in terms of tone rather than colour. "Ask yourself, is it light or dark, warm or cool?" he says. 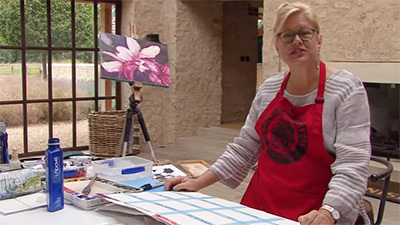 He works on 140lb (300gsm) Saunders Waterford Rough paper, starting with a pencil drawing to establish the general structure and composition and then adding wet-in-wet washes to set the tonal range of the subject and indicate the mood and atmosphere. 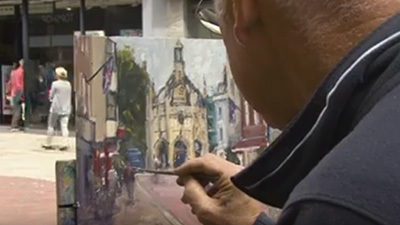 Next he works over the preliminary washes where necessary to enhance the tonal contrast and then he adds what he calls the "calligraphic marks", the touches and details that give the painting its individuality and impact. This is his general approach but, as each demonstration proves, no two paintings can ever be tackled in the same way. Watercolour is a tricky medium and there is no precise methodology. "Take risks and change your mind as you go along," encourages Joseph Zbukvic. 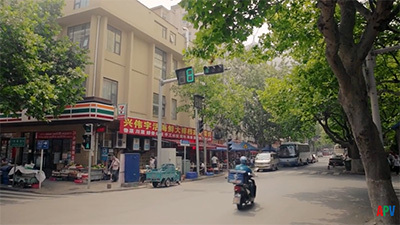 One of the strengths of his film is that it shows that success depends to a large extent on respecting the medium and responding to events as they occur in the painting. 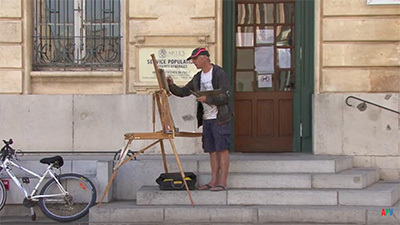 The highly accomplished painter, Joseph Zbukvic relishes the challenge of busy, panoramic subjects painted on the spot, and in Atmosphere & Mood in Watercolour we can enjoy looking over his shoulder as he tackles subjects including the marina at Williamstown, one of the main streets in central Melbourne and, in contrast although just as noisy and bustling, the fish market in Venice. Joseph paints on 140lb (300gsm) Saunders Waterford Rough. He starts by making a pencil drawing to establish the general structure and composition, and this also gives him the confidence and freedom to work quite loosely in the subsequent painting stages. Much of the initial painting is in the form of wet in-wet washes, which set the tonal scope of the subject and begin to create the mood. Indeed, his advice is to think in terms of tone rather than colour: "Ask yourself, is it light or dark, warm or cool?" he says. Next he shows us how he works over the preliminary washes, for the most part using a large mop or sable brush, but now mostly painting with "calligraphic" marks, applying these with a quick touch and keeping everything lively and interesting. Throughout, the emphasis is on connecting shapes to make a coherent whole, and the overall message is: "Indicate, don't state".